To celebrate the 200th anniversary of the Declaration of Independence in 1976, the U.S. Mint issued a set of three one-time-only commemorative coins: Quarter, Half Dollar, and Dollar. These were the first circulating commemorative coins in U.S. history. 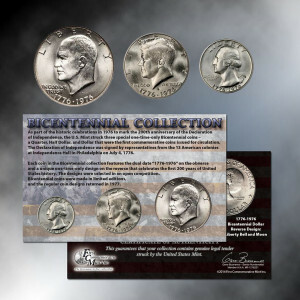 The 1976 bicentennial coins have been out of issue and unavailable from the U.S. Mint for over 35 years.This complete set includes all three coins in original Uncirculated condition, so they are just as fresh and beautiful as the day they were struck by the U.S. Mint over 35 years ago. The obverse of each coin is similar the standard coin, but with the dual bicentennial dates “1776-1976.” The reverse of each coin was a special bicentennial design that can never be used again. The Washington Bicentennial Quarter features a Colonial drummer and a victory torch circled by 13 stars. The Kennedy Bicentennial Half Dollar shows Independence Hall in Philadelphia, where the Declaration of Independence was signed in 1776. 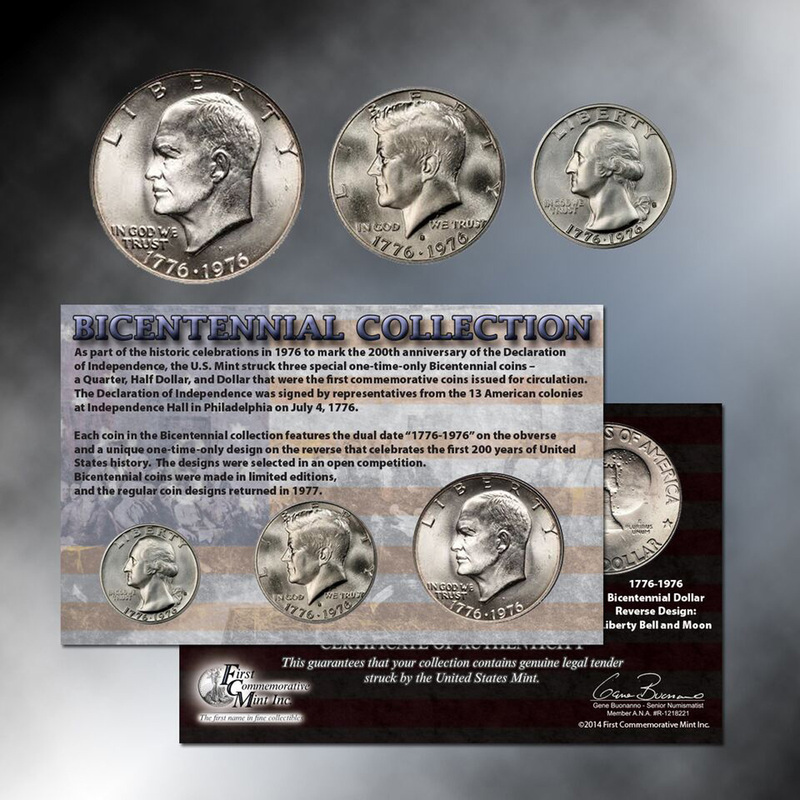 The Eisenhower Bicentennial Dollar depicts the Liberty Bell and the Moon to symbolize 200 years from the era of the American Revolution to the era of space travel in the 1970’s. 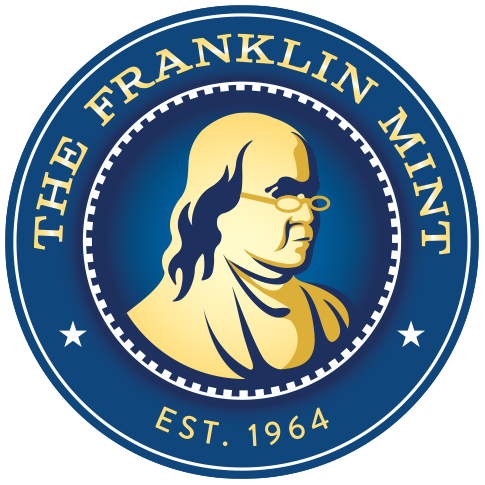 5 x 3 1/2"
The Franklin Mint had a wonderful sale making it possible for me to purchase several of the Bicentennial Coin Collections. It was a really affordable price, which I really appreciated, plus the order came packaged with great care so there wasn't any danger of anything being damaged in the shipment. Thank you.